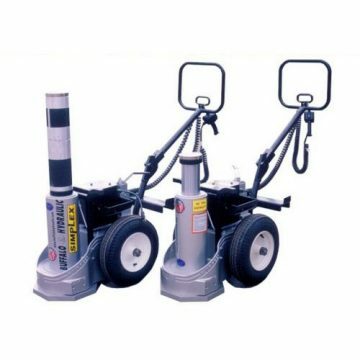 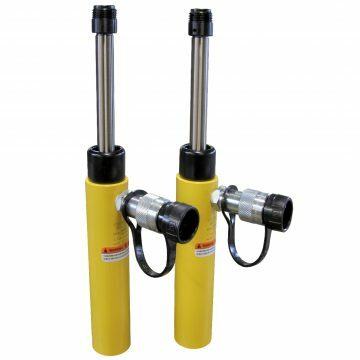 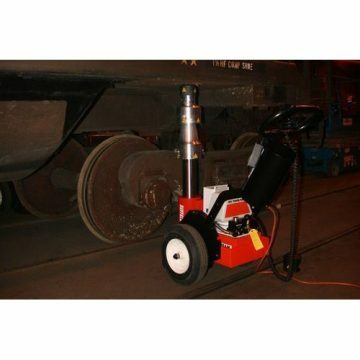 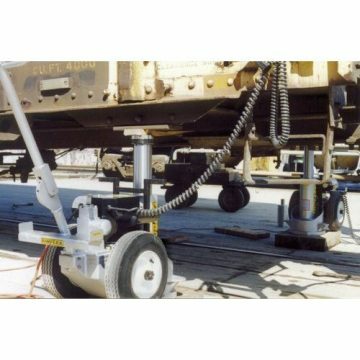 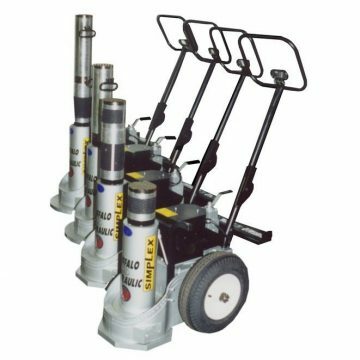 PLE6014 Electric Hydraulic Railcar Jacks. 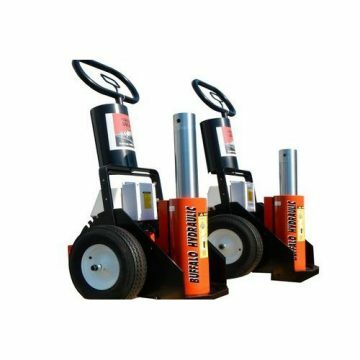 Available in 60 and 100 tons capacity (each). 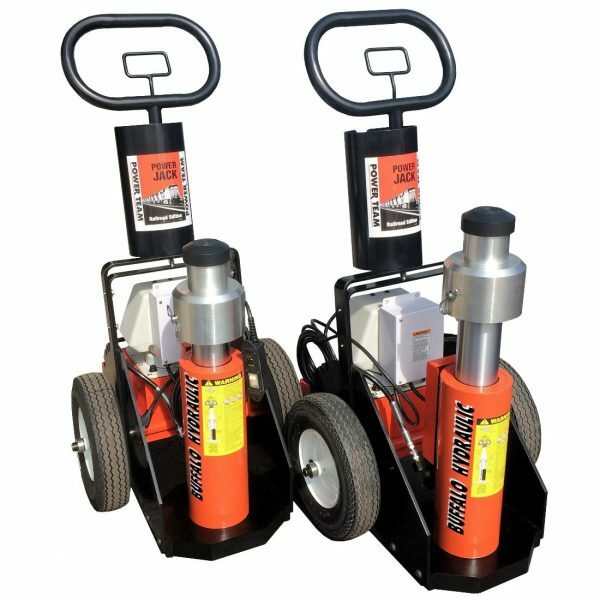 115 and 220 V.A.C., 1 Ph. 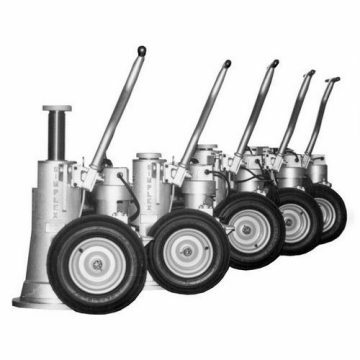 and air hydraulic models. 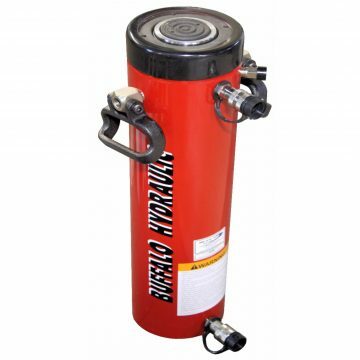 Optional height extensions ranging from 1 – 20″. 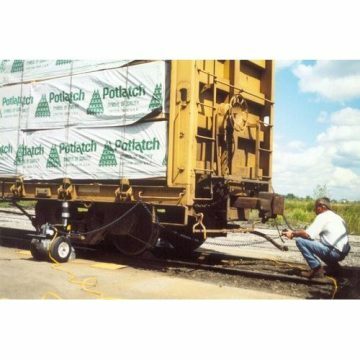 Patented load lowering valve provides smooth and safe, chatter -free lowering of railcar. 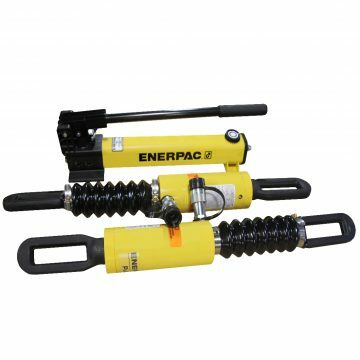 Optional, stackable, U-Ring Cribbing Set. 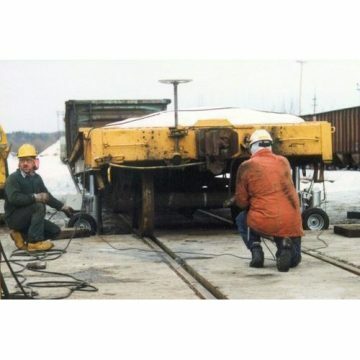 With custom models up through 200 tons capacity, Buffalo Hydraulic has a safe and efficient method for jacking any railcar or heavy equipment. 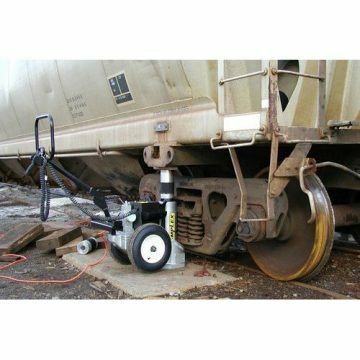 The ergonomic handle and foam filled tires makes transporting this unit around the roughest rail yard or car shop an easy task!